This is my first wavy ripple project. I was inspired by Attic24 who did one of her beautiful colorful afghans using this stitch design. 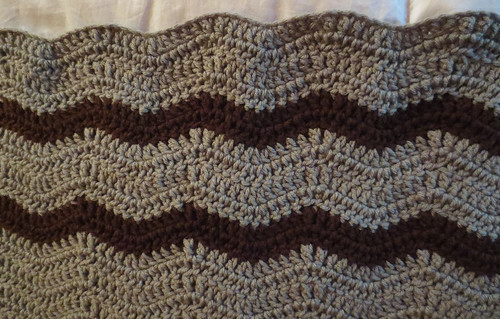 Here is a closeup of my wavy ripple pattern after I crocheted the stripes for one side of my lapghan. I set out to crochet my lapghan to fit a person in a wheelchair. I wasn’t sure about the starting chain number of stitches I would need for the lapghan so I ended up doing a chain of 145 stitches for my base row. Well it’s a lot wide than I would have liked at 44 inches so I ended up doing this as a long lapghan that goes down and covers a person’s legs. I crocheted this lapghan working it in rows vertically for a total of 48 rows. 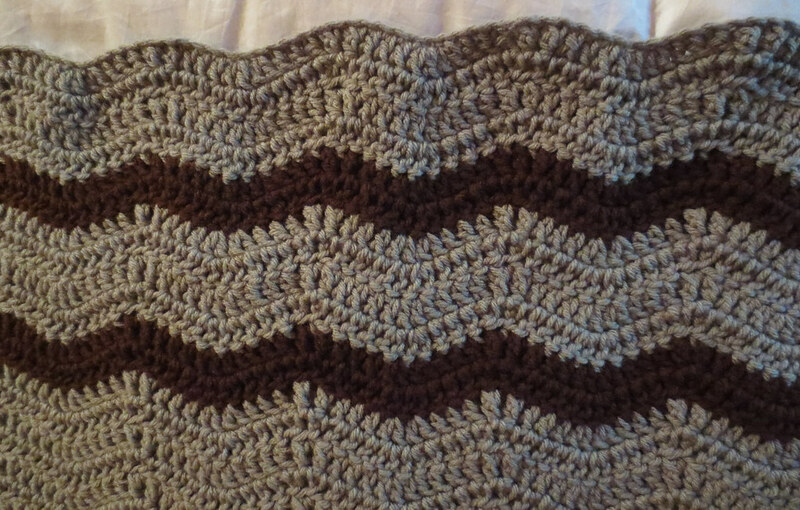 I used a Bernat 14 oz pounder-style worst weight yarn in a clay color along with some scrap brown yarn for stripes. 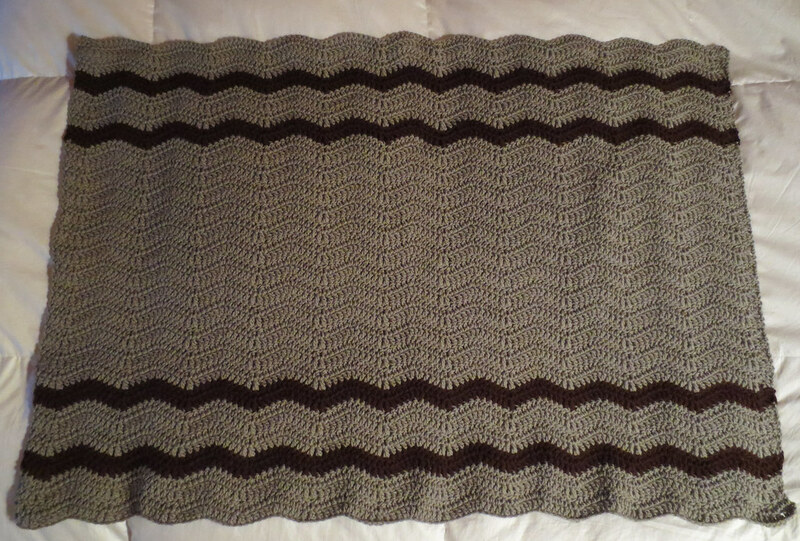 Here is the finished photo of my wheelchair wavy ripple lapghan. Crochet pattern written in US crochet terms.